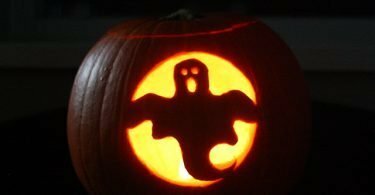 I’ve had this post kicking around for a while in draft form, but I decided it was finally time to finish it up and publish it. Now that the kids are back in school and the weather is turning cold and wet, I’m starting to have more time to play games once in a while. 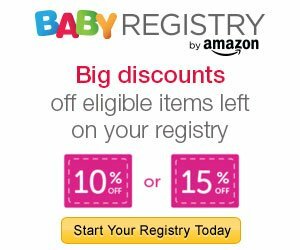 I used to play video games a lot, but not so much now that I have kids. I still like to play games, but now it’s on my 3DS or on my tablet instead. The days of playing the latest Zelda game or Civilization for hours at a time are over. 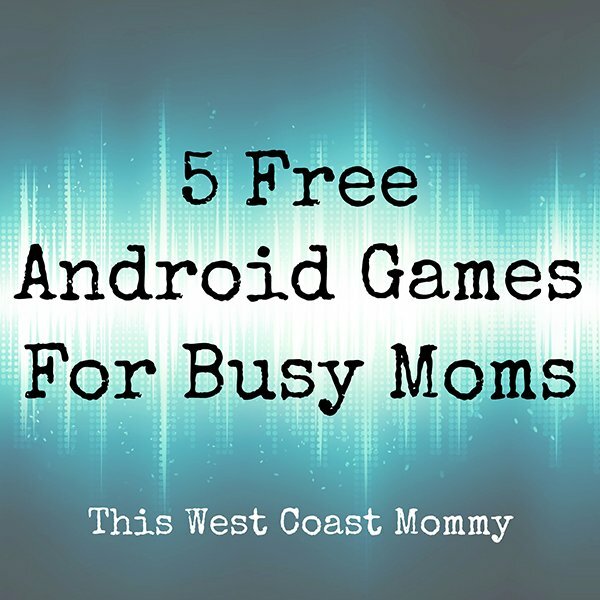 The games I play now need to be the kind I can play a few minutes here, a few minutes there, while I’m sitting in the car with my napping kids, or nursing a squirmy toddler, or lying in bed trying to unwind after a busy day. Everyone knows about Candy Crush (is that still a thing? ), but here are my personal lesser known faves. None of them are new, but these are the games I still enjoy playing weeks and months later. 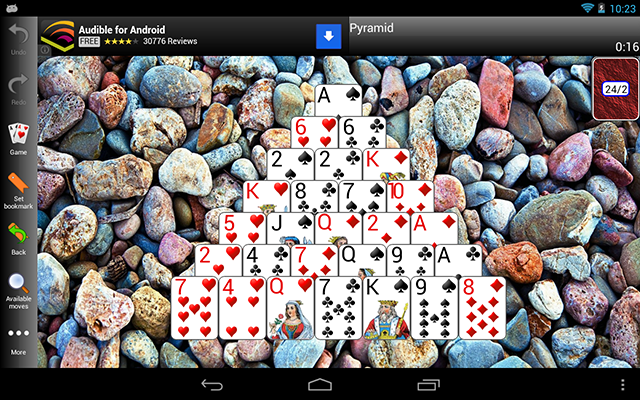 I love the sheer number of different solitaire games available through this app. It’s fun to play my favourites like Classic Solitaire, Spider Solitaire, and Four Seasons, as well as try new games. 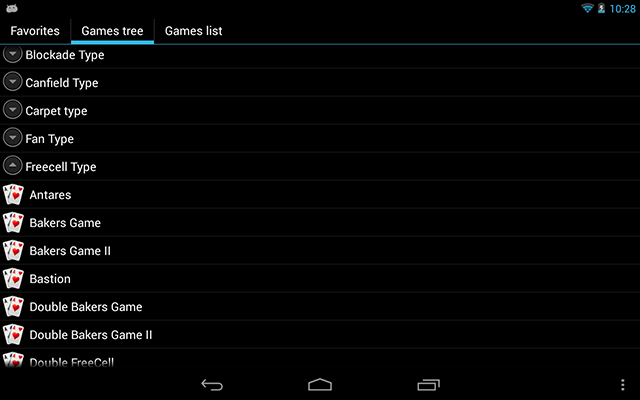 The games are organized alphabetically or by game family. You can even create your own custom solitaire game! My kids love this game. Yes, it’s cute, but I suspect it has as much to do with its name as it does with the gameplay. 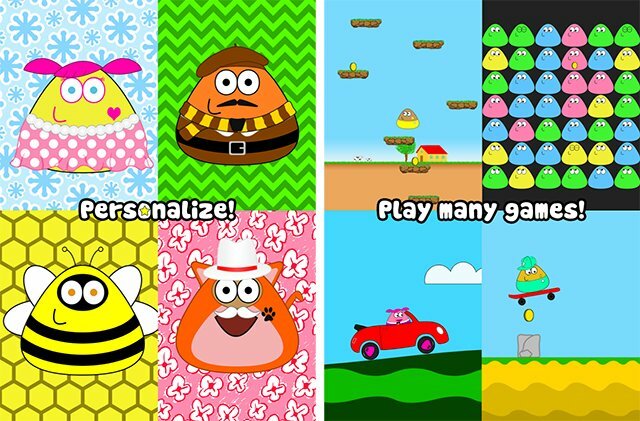 Pou is a little… creature that you take care of – shades of those old Tamagotchi keychain virtual pets. 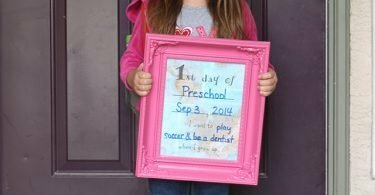 Feed it, wash it, put it to bed, dress it up, and play games with it. The more experience points you rack up, the more costumes, food, and mini games you unlock. 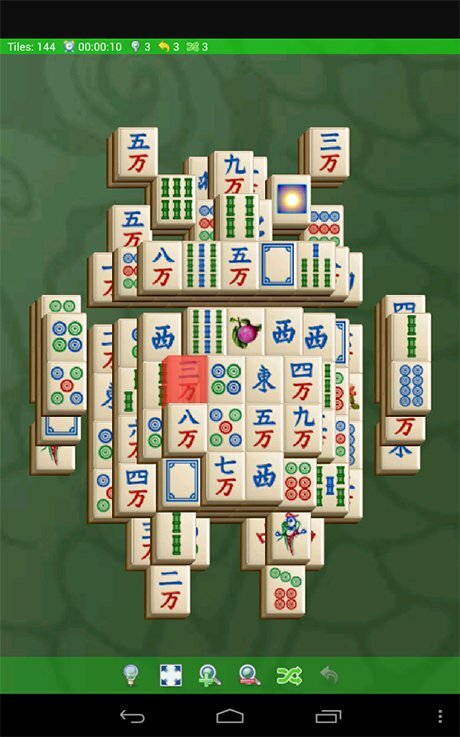 Mahjong solitaire is very simple to play but addictive. Just match up pairs of tiles to clear the board. This game offers 210 different tile layouts to start from! As a teenager I spent lots of time hanging out with my friends playing video games. One of those was Bust-a-Move, that bubble game from Taito with Bub and Bob, the bubble dragons from classic Bubble Bobble. Ever since then I’ve had a soft spot for bubble games. I’m a terrible pool player, but I’m pretty good at the geometry calculations required for this type of game. 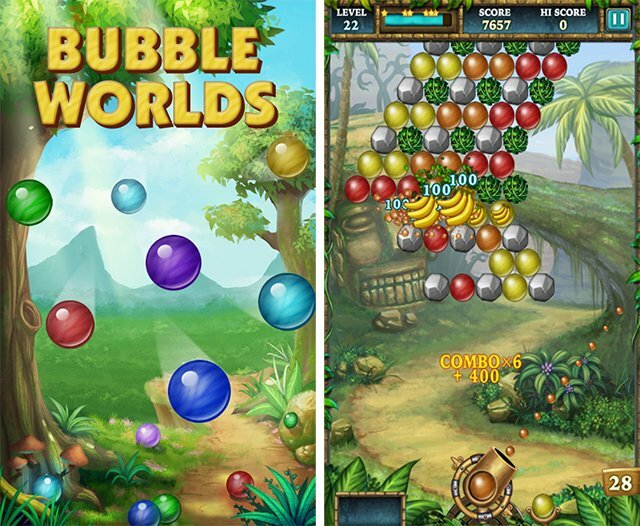 Bubble Worlds is a typical bubble shooting and matching game with 210 levels. Earn game coins through play that you can spend on special tools to help you pass subsequent levels. This game offers more than the standard gem matching game. 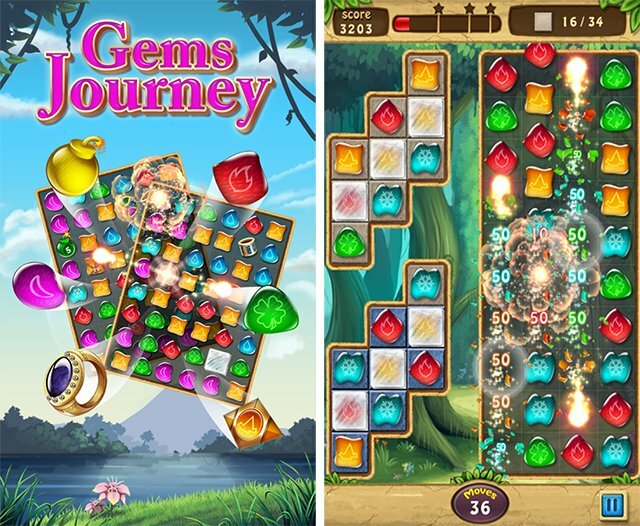 Gems Journey boasts a variety of different end goals, 160 levels, a nice progression of difficulty, and plenty of replayability as you try to get a three star score on each level. These games aren’t free, but 99¢ is pretty darn close. Both of these Plants vs. Zombies games feature cute graphics and challenging game play, and they’re just tons of fun! Disclosure: I did not receive any compensation for this post. 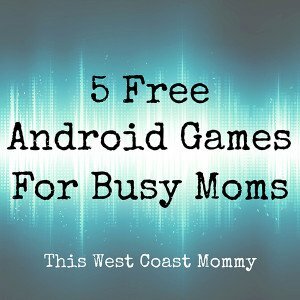 I just wanted to share my favourite games with you! ooooh I stay away from games, I get hooked to easily. I’m weak lol.